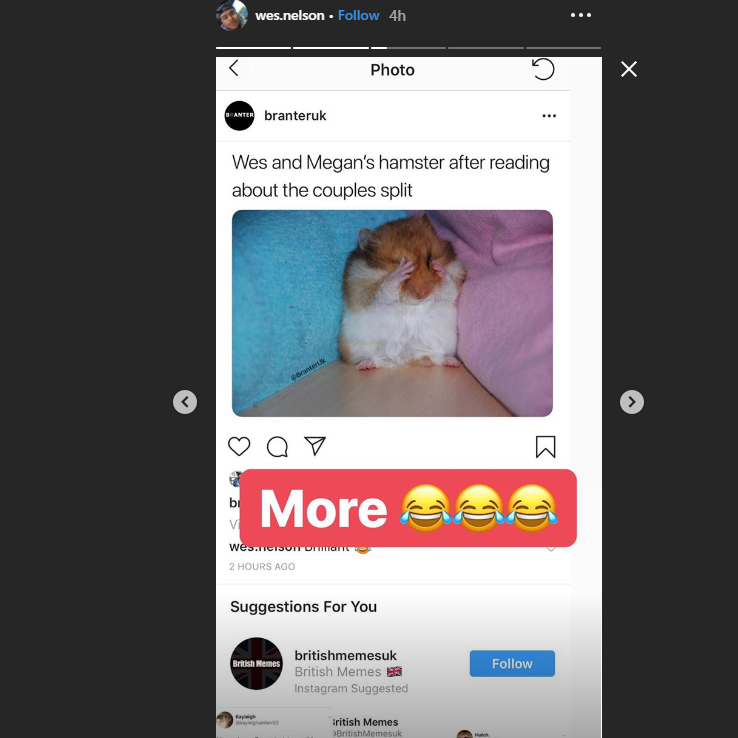 Wes Nelson has said he appreciated the hilarious response after he and Megan Barton Hanson announced plans to co-parent their hamster following their split. The Love Islanders announced their break-up on Instagram this week, saying in a joint statement that they were “parents first and foremost, to one incredibly wonderful hamster”. “We ask for his and our space and privacy to be respected at this difficult time,” the statement added. Fans were tickled by the hamster comment and have been posting funny messages about it on social media. 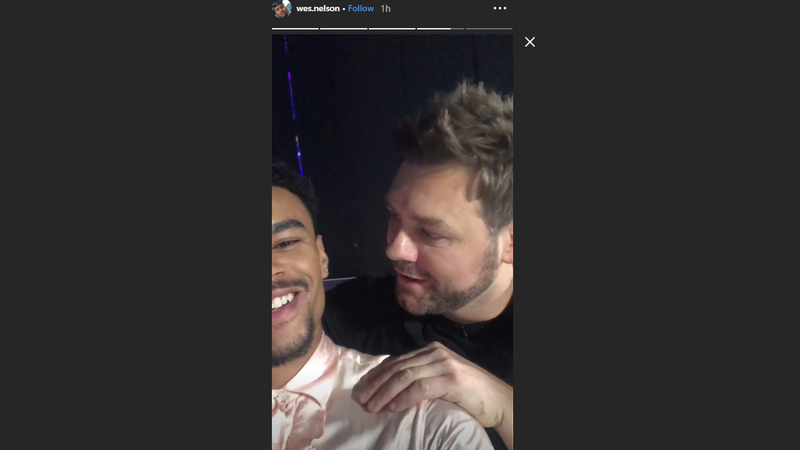 In response, Nelson shared a video on his Instagram Story in which his fellow Dancing On Ice contestant Brian McFadden asks about his pet. Nelson whispers back, telling the singer not to talk about it. The star also shared some of his fans’ posts on his Instagram Story. Barton Hanson announced that she and Nelson were going their separate ways with a post on her own Instagram Story. The message, signed from both of them, read: “It is with hearts full of sadness that we have decided to separate.